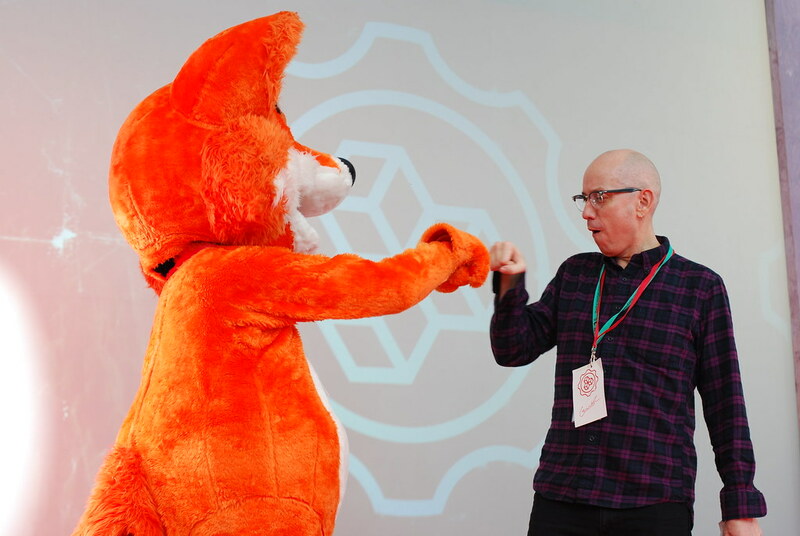 It’s been 4 years now since the first Mozilla Festival in Barcelona, and its now almost 4 times bigger. Each year there are more people, more activities, and more amazing builds to blow your mind. The never ending drums just getting louder, but now with a more unified rhythm. We need to not only #MakeTheWeb, but we need to #TeachTheWeb. I feel privileged to have been a part of the teams that make these events happen each year. Each time doing something a little different, due not only to having the experience to know how to make things happen a little easier, a little quicker, and/or a little better, but also due to the ever evolving and growing nature of the festival. If I’ve learned one thing about the Mozilla Festival over the years its that there is no definitive start point for organisation. The festival is more of a giant puzzle that gets put together by the organisers for the 3 day event. There is a framework that these puzzle pieces get put into, but its designed to keep out of the way. Invite space wranglers to run areas relating to a handful of the key themes. Design sessions for participation. Talk with people, not at them, and avoid jargon to keep language accessible. Provide a fluid/dynamic schedule crafted by the participants. Combining traditional pre-scheduled content, with emergent/bar camp like scheduling. 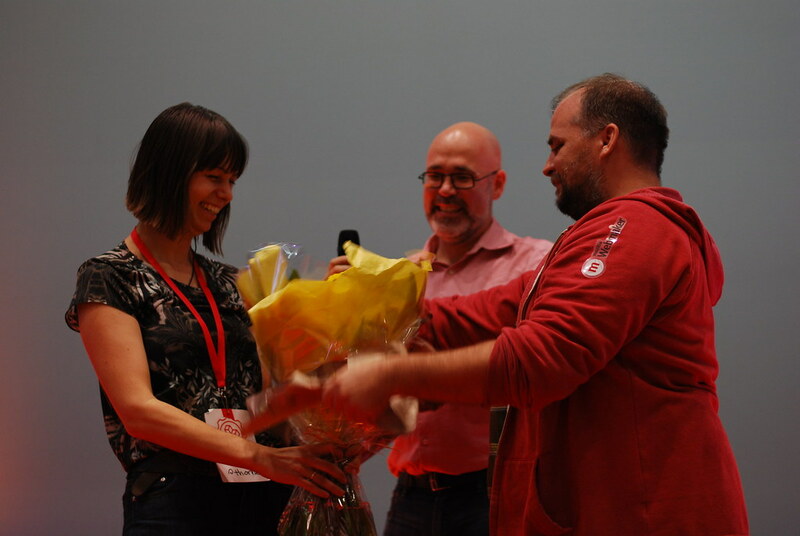 Give inspiration at the start with cool projects that converge on the themes, and show off new projects at the end to showcase the amazing work of participants over the event. Even though the festival keeps getting bigger these 5 “steps” for creating the event have remained the same since 2010. Some of the puzzle pieces have changed, become bigger, and/or more efficient, however the basic concept remains. There is one thing missing from this list that I’d like to cover in the rest of this post, and that is the people who make sure everything runs smoothly on the day. One group is already mentioned, but there are a few more groups that are just a crucial to the success of the event. These are the curators of spaces and themes. Each key theme for the festival has its own physical space it operates from, and this space is under the sound control of its owner, the Space Wrangler. Dealing with everything from room delegation, content curation, and facilitation of facilitators. The space wrangler is the person to go to if you have any questions about a given theme. 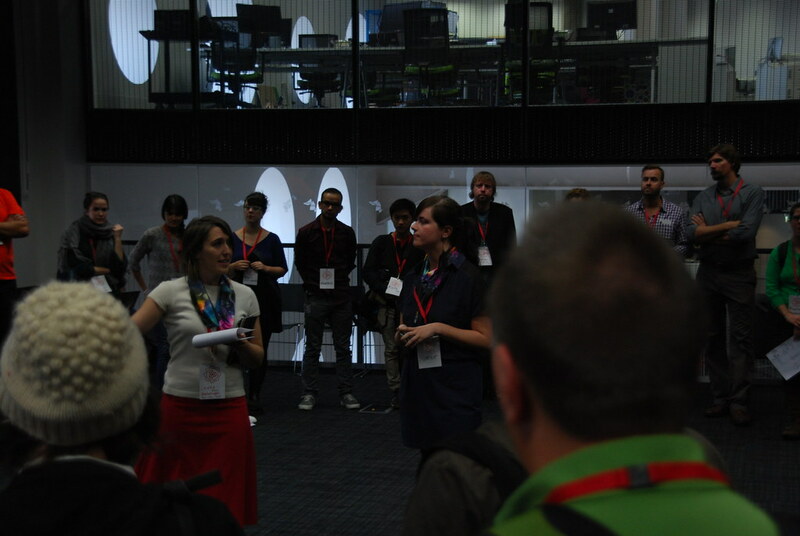 One of the groups hiding behind the scenes, taking on the task of routing questions, requests, information and more, was the #mozhelp team. Headed up by Jess and Misty from AspirationTech, with help from Neil, Beatrice, and myself (when not hacking the schedule app). These guys did an amazing job tackling the information firehose, and taming it. Dealing with, and resolving every single request (within their power). 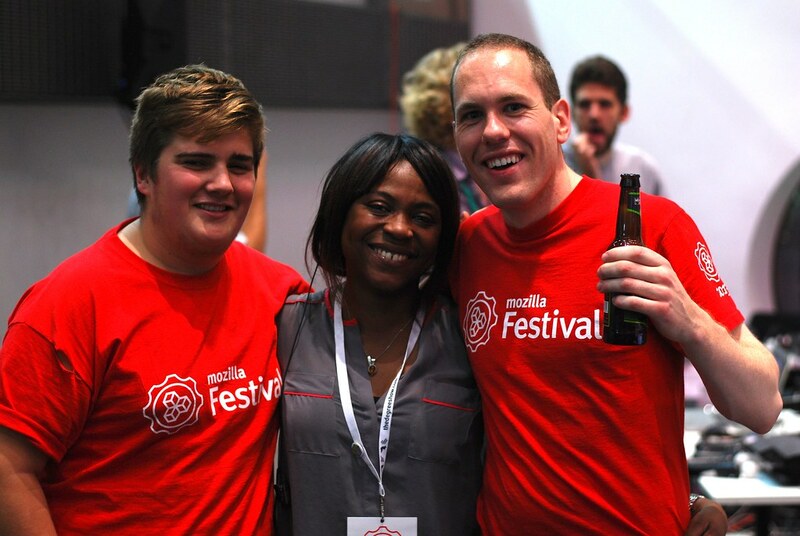 #mozhelp lost my voice somewhere at #mozfest, if you find it could you send it to berlin? The #mozhelp team spent most of the festival keeping a very close eye on the twitterverse looking for anyone calling out for help, as well as monitoring the radio waves for schedule changes. 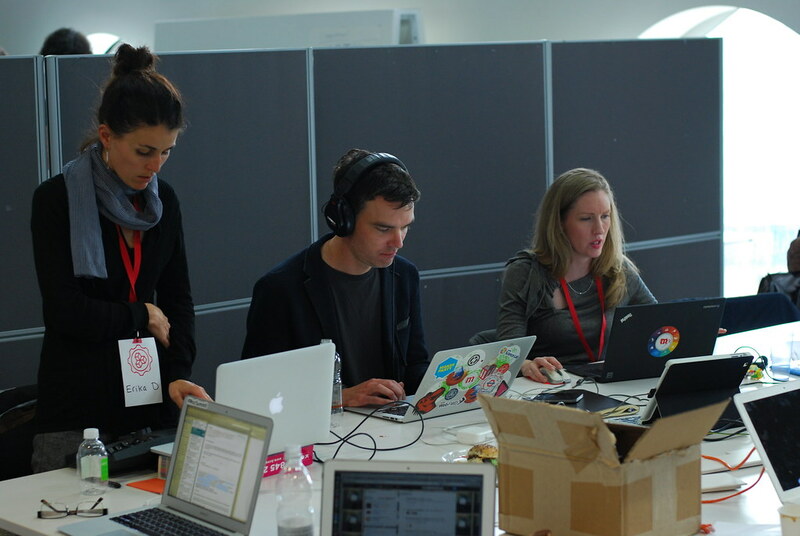 Every year a team of dedicated, energised, superheros defend on the Mozilla Festival to answer your on the spot questions, make sure you get the supplies you need for sessions, and all in all do what it takes to ensure that you have a fantastic Mozilla Festival Experience. For this team of supers the Mozilla Festival started a little over a week before the main event in the Mozilla London Space, with their team briefing. These are the more social people who were super eager to give you directions, schedule updates, and much, much, more. These were the ones with the walky-talkies. Making sure things get from A to B isn’t easy, but these marvellous people made it look like no work at all. If you want to know who covered the most miles at the festival, these are the people to ask. They’re also amazing note takers! Its a tech event, so you’d think that everything would just work… you though wrong. However, the wonderful tech support team fixed almost all problems before the occurred. They setup the AV, troubleshooted your wifi problems, and got the projectors working when you thought there was no chance of projecting again. Finally we get to the storytellers. Without whom the whole festival would still be a mystery to most. Taking the mountain of creation and activity, digesting, then regurgitating in a form we can all understand. The storytellers took on the thankless task of ensure the event was document, and document well, rather than going to all the sessions themselves. Behind all of this activity there are a few people that deserve a special shout out. These are the people who’ve spent months making sure that this 1 billion piece puzzle fits together. Sleeping no more than a handful of hours, curating the curation, and getting everyone to the right place at the right time. Their also incredibly hard to keep in one place long enough to get a photo of as well!